One Step Ahead Foundation | Helping children with physical disabilities build self-esteem and self-confidence through athletics. Helping children with physical disabilities build self-esteem and self-confidence through athletics. 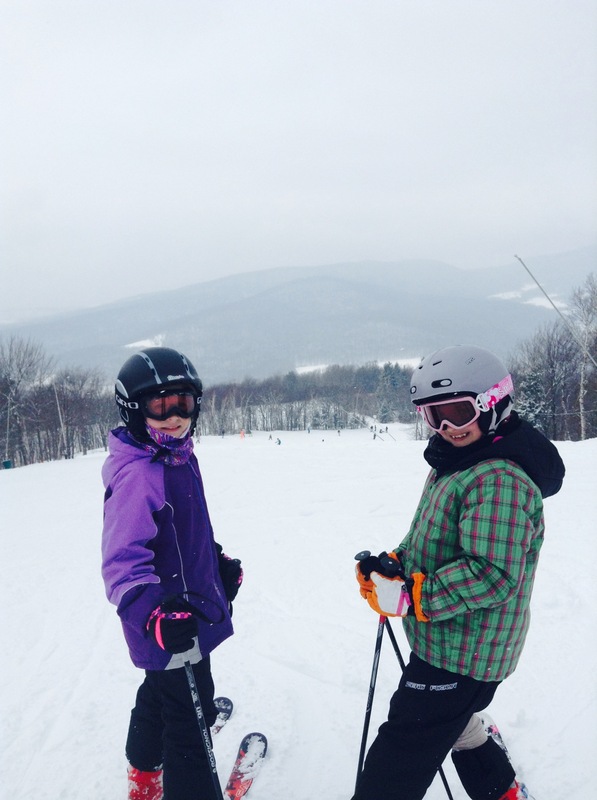 DECA is raising funds for kids with mobility issues. Please donate now! To raise Awareness of multiple athletic communities, to a growing number of children and young adults that have mobility issues. Building bridges , because we can. To help these children and young adults reach for and find their dreams can be realized. Create a charitable pathway, for endurance athletic communities, to find and provide resources, monies, knowledge and time to children and young adults with mobility challenges. By riding through different communities throughout the USA, speaking with different organizations. I will bring these multiple communities together. Have those in need express their hopes and dreams for overcoming their mobility issues. Put them together with athletes and experts, or provide resources or monies, because we can. More information to follow like how you can help and donate. TEAMWORK is a nationwide fitness event presented by Kill Cliff taking place from June 28th to July 4th, 2018 in support of the Navy SEAL Foundation. The event consists of 24 “Hero Workouts” that honor fallen members of Naval Special Warfare, performed over the course of 24 hours (one per hour) in gyms across the country. Gyms register to host the event as a “team” for any 24-hour period during those seven days. Individuals from that gym then register to participate in the event with their gym/team and complete any number of workouts in groups of two or three. There is no cost for a gym or individual to register or participate! We simply ask registrants commit to raising funds for the Navy SEAL Foundation via their own Crowdrise page. There is no minimum amount of fundraising required, but our goal is for everyone to raise $100 or more. 100% of funds raised will be given to the Navy SEAL Foundation and donations are tax deductible. If you are interested in getting started simply click the REGISTER button above to sign up as an individual or hosting gym and start directing people to your fundraising page. When registering as an individual, ensure you select the gym/team where you plan to participate. Each participant will also receive a free TEAMWORK t-shirt or tank from Kill Cliff to wear during the event just for registering! For hosting gyms, we greatly thank you for your assistance. We kindly ask that you help provide a safe environment for the execution of these workouts to the greatest extent possible with staff on hand for the duration of the event. A full list of guidelines for gyms to include a per hour schedule and details for all 24 workouts can be downloaded Here and Here. All workouts must be performed as groups of two or three. No individual performances. The intent is for each group to perform one or two workouts during the 24-hour period. Under no circumstances should anyone perform all 24 workouts! The focus of TEAMWORK is not to draw attention to ourselves or our performance in these workouts, but to honor the sacrifice made by our nation’s warriors, while working as a team. As such, there is no leaderboard for this event other than one that tracks fundraising per individual and per gym/team. Please post on social media using #Teamwork2018! One Step Ahead spends a day with the New York Yankees! On May 23rd, Amy was invited to Yankee Stadium along with some special kids as part of their annual Hope Week event! One of these kids was Kristofer, a child with limb loss who was absolutely ecstatic to meet some of the Yankees. Kristofer is also in New York to get a new prosthesis at A Step Ahead Prosthetics in Hicksville; his trip was arranged through the foundation and made possible by donations from people like you! Amy Finishes the Death Race! The Death Race is a race that singlehandedly can change someone’s life forever. All of us have a story to tell and mine is minimal to what most people face daily, but, for me, the Death Race is that second chance I am SO lucky to have received. The Death Race is my full circle and The Death Race is my 1994 all over again that slaps me in the face and reminds me, once again, I have been given a second chance at life to get up, do, and be my absolute best. 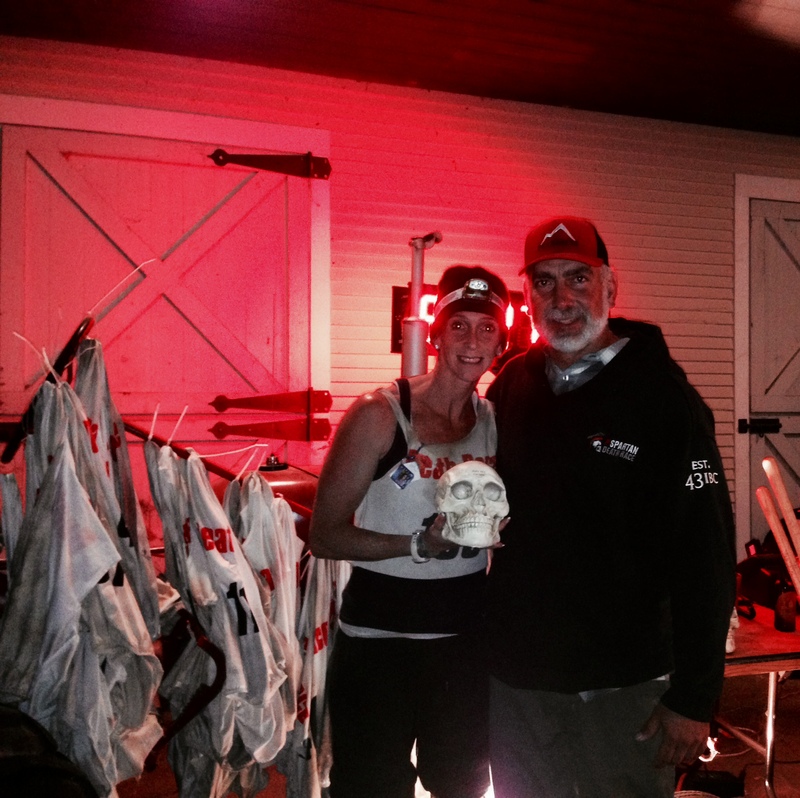 After 66+ insane hours of The Death Race, at approximately 1:30am monday morning, the race was declared officially over and FINISHER skulls were awarded. I was beyond HONORED to receive a skull along with all the other AMAZING athletes that finished along with me. We accomplished something greater than ourselves! The athletes that did not finish are equally amazing because they had the fortitude to attempt such an extremely challenging event, dug deep, and gave it all that they had because they are doing what they loved. Throughout The Death Race I watched tears of frustration, absolute pain, and a kind of joy that comes with a personal achievement words can not justify. I witnessed raw emotional that only comes from pushing your body to the redline and never backing off. We endured 110-120 miles of running in the mountains surrounding Pittsfield, Vermont while wearing a 50+ pound backpack with required gear along with what we felt we needed to survive in Vermont’s wilderness for 48 hours. There was constant pressure about completing challenges and meeting time cut offs. Many will never understand what The Death Race is but this race is everything beautiful and ugly in the world at once, condensed and impossible to escape from. That is what makes it so special. That is the draw and the need to be a part of this. In the end, we all end up together, supporting each other to the finish! There are millions of running races, thousands of marathons, hundreds of triathlons and dozens of ultramarathons, but there is only one Spartan Death Race. 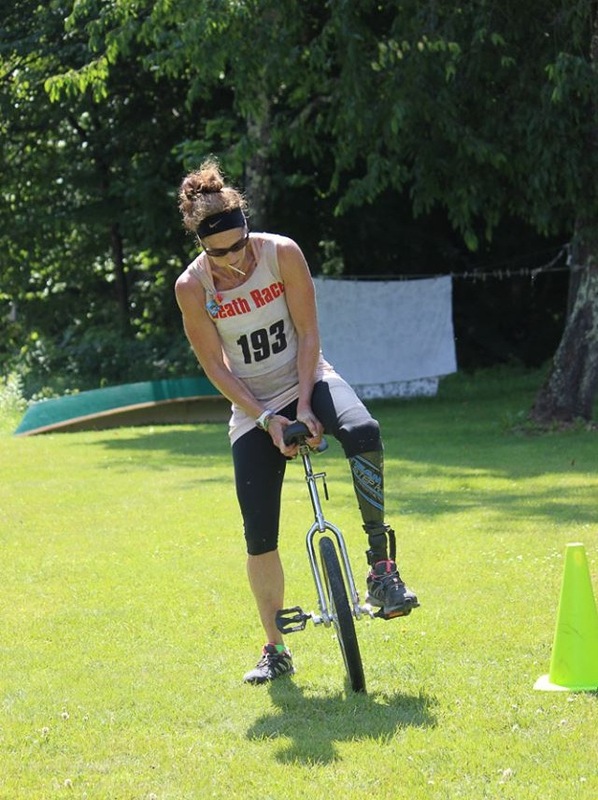 Held annually since 2005 in the small town of Pittsfield, VT, the 2012 Death Race, scheduled for June 27-29, offers less than 300 competitors the chance to test their mental and physical prowess like no other event on earth. Amy Palmiero-Winters is now a veteran of the Death Race and – having lived to tell about it – is going back for more. The hurdle and challenge-driven race requires competitors to complete a series of grueling mental and physical challenges throughout a 40-mile course that runs through the Vermont woods. During the Death Race, competitors may be asked to chop wood for two hours, carry a 20-lb stump around for hours, build a fire, cut a bushel of onions, crawl through mud under barbed wire, or after 15-hours of racing, memorize the names of the first 10 U.S. Presidents or a Bible verse, hike to the top of a mountain and recite them back in order. This year’s theme is the Year of the Explorer, so the race will be shadowing a Lewis and Clark expedition and Amy will be joined by 2013 Death Racer Allen Phillips. Unlike other endurance races that offer a detailed map, Death Racers have no idea what to expect next as the course map and list of challenges are kept secret. This provides competitors with one of their biggest challenges as the length of the race can range from 24-48 hours. For an endurance athlete, not knowing where the light is at the end of the tunnel can be sheer torture. 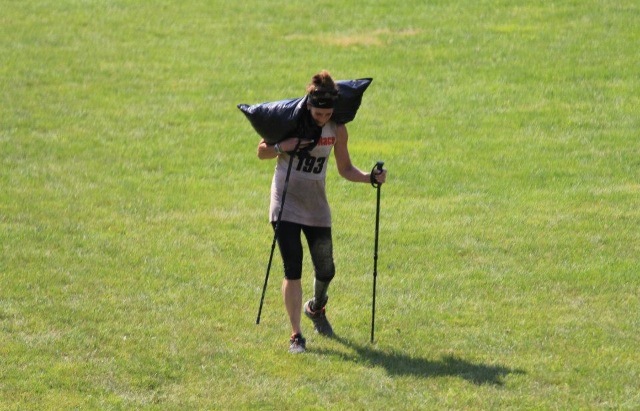 For an amputee like Amy, the Death Race also presents unique challenges like selecting the right prosthesis for the race and dealing with the socket becoming repeatedly filled with mud and rocks. Aviva meeting with some kids from the foundation. 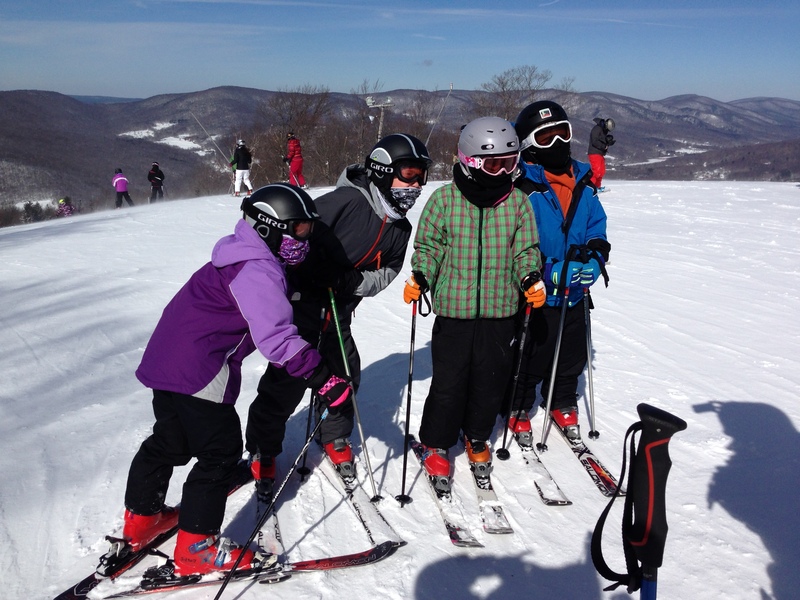 Pictures from the Foundation’s Annual Ski Trip! Enter your email address to follow our blog and receive news, updates, and more via email. The One Step Ahead Foundation was started on the principle that participation in athletics provides opportunities for children to grow and learn through hard work, teamwork and dealing with losses. 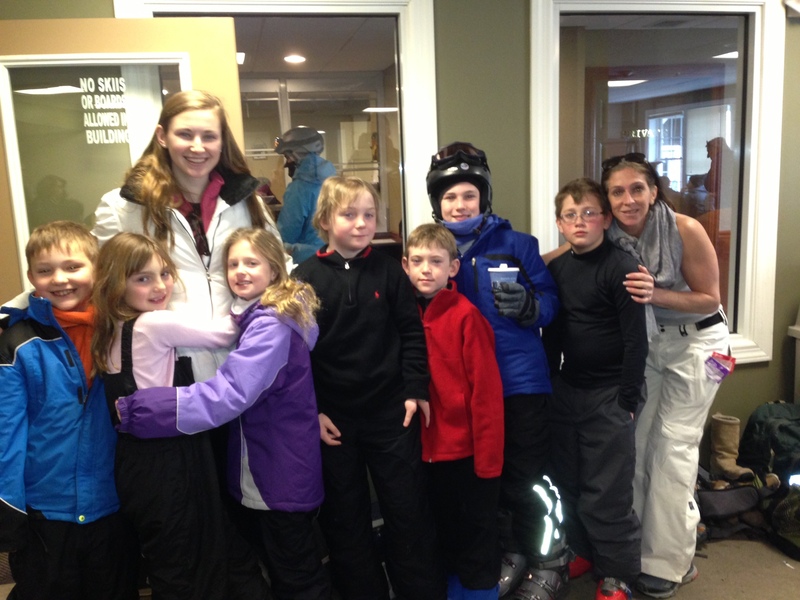 Some things learned through sports can help children with physical disabilities build self-esteem and self-confidence. Our Foundation is entirely run by volunteers, which ensures that 100% of all donations goes towards providing athletic events for children with limb loss and, in certain cases, helping them obtain prosthetic care. STX sponsors the One Step Ahead Foundation by providing amazing bags for the children to carry their prosthetics in. Thank you for helping and supporting us! The Dimension9 LLC is donating "YooDara" good luck charms for the foundation to sell. All of the profits go towards helping create more kids events!!!! !